If you suffer from stiffness and pain in your joints – whether in knees, hips, shoulders or hands – you don’t need to be told it can be miserable. So, if you experience a flare-up, it’s natural to reach for a painkiller, but they only treat the symptoms and not the cause. Fortunately, new high-quality research shows there are individual natural supplements that can make a measurable improvement in the quality of your life – and indeed reduce the risk of the disease occurring in the first place. What’s more, these ingredients can be combined to boost their effectiveness – loosening stiff fingers, relieving joint tenderness, easing painful shoulders and alleviating sore knees. The nutritional supplements with the best evidence of effectiveness are curcumin, boswellia, vitamin D3, vitamin K2 and glucosamine. Lecithin and piperine are useful additions because they maximise your body’s ability to absorb the other joint nutrients – they boost their bioavailability. All of them are natural and safe ingredients. But why this particular combination? Let’s look at the evidence, one by one. But first a short background. There are many different forms of arthritis but the most common are osteoarthritis and rheumatoid arthritis. They have different causes and the one we will mainly discuss is the most prevalent – osteoarthritis. However the solution we discuss will help all forms. 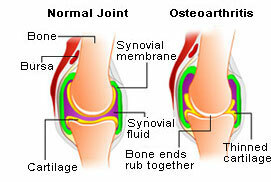 Osteoarthritis is age-related. 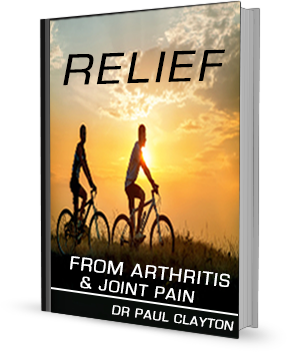 Some 10% of men and 18% of women over the age of 60 suffer from arthritis and joint problems. More women than men are sufferers, because the postmenopausal phase increases the risk of developing osteoarthritis due to imbalances in hormones. Cartilage (the protective cushion at the end of your bones) in your joints begins to wear over time. This causes pro-inflammatory chemicals from the body’s white blood cells to migrate to the joint site. The release of these chemicals increases the flow of blood to the area of injury, resulting in redness and warmth – a sign of inflammation. Some of the chemicals cause a leak of fluid into the surrounding tissues, resulting in swelling – which may in turn stimulate nerves and cause pain. Unfortunately, it’s a two-way process. The increase in inflammatory chemicals within the joint causes further irritation, more swelling of the joint lining and further wearing down of cartilage. Boswellia serrata is a plant that has been used in India and the Middle East for centuries for joint problems, osteoarthritis and indeed other inflammatory diseases like asthma and even Crohn’s Disease. Boswellia has anti-inflammatory, anti-arthritic and analgesic properties. Which is perhaps why in its resin form – frankincense – it was brought by one of the Three Wise Men! The ‘gold standard’ for clinical trials is what’s called a randomised, double-blind, placebo-controlled trial. Essentially that means you test your supplement (or drug) against a placebo, but neither the patients nor the researchers know which is which. A report in Alternative Medicine Review in 2008 on a further double-blind, placebo-controlled trial on Boswellia, found that all the patients who were suffering from osteoarthritis experienced a significant decrease in pain and swelling and increase in range of motion compared to placebo. The main three inflammatory chemicals in the body are called 5-LOX, TNF and IL-1. As an anti-inflammatory, boswellia (and as we will see later, curcumin too) helps ‘switch off’ these inflammatory chemicals. That is also how arthritis drugs work – but there are many concerns that some of these come with undesirable side-effects. Because it is an anti-inflammatory, boswellia may also play a role in reducing the effect of other inflammatory chemicals in the body called leukotrienes. These cause bronchial muscles to contract, which is what happens in asthma. A study of Boswellia’s effect on bronchial asthma found that patients who took the extract did indeed benefit from decreased symptoms and indicators of asthma. There is also animal study evidence that boswellia might help inhibit the spread of cancer. This is possible, because we know that, while inflammation within body tissues does not directly cause cancer, it does encourage the conditions that facilitate its spread. 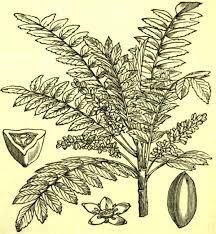 There is certainly current active research that indicates that boswellia might be cytotoxic to brain tumour cells. The main active constituent of Boswellia is a compound called AKBA. To be effective and reproduce the results shown in the above clinical trials, you should look for a supplement that includes boswellia that is standardised to a 20% level of AKBA. ‘Standardised’ means concentrated and with each batch having the same composition. AKBA stands for the distinctly unmemorable molecule Acetyl-Keto-beta-Boswellic Acid. A level of 100 mg a day is an average dose, but this could be increased to 200mg a day for faster relief. AKBA has a similar end effect to the NSAIDs – Non-Steroidal Anti Inflammatory Drugs – that are frequently prescribed for arthritic pain. It reduces pain, reduces the swelling of inflamed joints and eases mobility. Boswellia, however, is a natural plant extract and has a mechanism of action that is different from NSAIDs, because it targets different inflammatory enzymes. Since they do not irritate the lining of the stomach and gut, Boswellia extracts cause few side-effects and pose little or no risk for toxicity compared to NSAIDs. Boswellia is a plant with centuries of safe use, although there are some indications that boswellia supplements should not be used by pregnant women. Boswellia may also lower blood sugar levels and on very rare occasions may cause temporary diarrhoea. One of the best-researched natural anti-inflammatories is the spice turmeric, which contains a compound called curcumin. As with Boswellia, turmeric and curcumin have been used for centuries in India and China as a treatment for joint ailments. And Western science has verified they are very effective. There are now over 500 studies confirming that curcumin is one of the most powerful anti-inflammatory compounds. That’s why curcumin supplements have been shown to help reduce the risk, not just of joint inflammation and pain, but of heart disease, stroke and even Alzheimer’s – as there is an inflammatory element in that disease too. Finally, research has shown that curcumin is a ‘chondro-protective agent’ – it protects cartilage and helps prevent it from degrading. A report in the journal Arthritis Research and Therapy shows that curcumin can even help in regenerating cartilage in osteoarthritis. 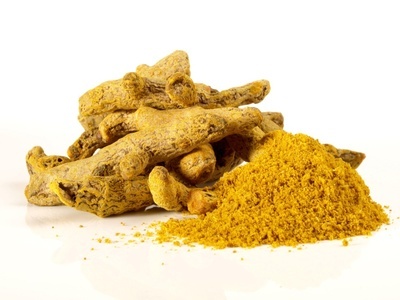 Curcumin inhibits the production of pro-inflammatory immune compounds called cytokines. It also blocks the main enzyme responsible for arthritic pain called COX-2. Pain killers called NSAIDS (non-steroidal anti-inflammatory drugs like ibuprofen or naproxen) also work by blocking COX-2 – but these can have side effects that include gastric upsets, increased risk of ulcers and a slightly elevated risk of heart disease. So curcumin is a safer alternative. If you are on an arthritis drug like celecoxib (trade name Celebrex) which targets the inflammatory enzyme COX-2, you’ll be interested to know that a study published in Rheumatology (Oxford) 2006, showed that curcumin enhances the activity of celecoxib to help prevent the progression of osteoarthritis. This should enable the use of safer and lower dose of celecoxib with better outcomes. Oxidative or free radical damage and inflammation are now known to be a root cause of some cancers, of neurodegenerative diseases like Alzheimer’s, of insulin resistance, type 2 diabetes, heart disease and stroke. So if you are over 60, taking a joint supplement that includes curcumin and boswellia seems to be worthwhile preventative measure not just against the development or progression of arthritis, but for your general health. So, a joint supplement can be a useful addition to your daily regime even if you don’t have any arthritis symptoms. How much curcumin do you need? Curcumin makes up only about 5% of the spice turmeric, so it’s vital to make sure you take a supplement that is standardised ie. concentrated to a high level. A good curcumin supplement will be standardised to at least 80% and some are as high as 95% curcuminoids. An effective dose – especially when combined with boswellia – would be about 600mg a day. We have seen that curcumin can be described as a genuine super-nutrient – it is even shown to improve immune function. These ingredients are lecithin – a dietary fat found in both plants and egg yolks – and piperine – a refined extract of black pepper. When soy lecithin was added to curcumin in a research study, the improvement in absorption was in the order of 8 times, with anti-oxidant bioavailability boosted by a huge 45 times. Piperine also multiplies the absorption rate of curcumin – and there is good evidence that it can also maximise the bio-availability of many other supplements too, as can some probiotics. How? When some drugs or supplements are ingested, a process in the liver can signal the body to start eliminating them via urinary excretion. It’s a metabolic process called glucuronidation and it consequently reduces the potential benefits of the supplements you are taking. Piperine is believed to work by moderating this process. The report in the US Library of Medicine in 2013 quoted above confirmed that curcumin has ‘an excellent safety profile’. Your body makes glucosamine by binding sugars and proteins together. Glucosamine is a naturally occurring compound in joint cartilage, ligaments, tendons and synovial fluids (the lubricating fluids surrounding joints). It acts as a sort of ‘shock absorber’. Glucosamine also helps form connective tissues throughout the whole body including in the digestive tract, and a healthy digestive tract is vital for proper immune system function. The problem is that, with age, the levels of a vital enzyme that controls our internal production of glucosamine declines. Consequently, glucosamine levels start to decline and the rate of the repair in joints declines with it. So the premise for supplementing with glucosamine is that it should boost your natural levels and therefore help alleviate arthritis symptoms. Most original studies were done on animals, but human studies using single-nutrient glucosamine supplements show only a modest – and sometimes nil – improvement over a placebo in either pain relief or joint mobility. That is hardly surprising because in your body, glucosamine needs the presence of both vitamin K and vitamin D to build cartilage (and bone) effectively. So glucosamine, on its own, is unlikely to have a big effect. To be effective, your joint supplement also needs to contain vitamins D and K. By including these you will also be strengthening bones. A good number of joint supplements combine chondroitin with glucosamine, but these two compounds have essentially the same function, and glucosamine – providing it is accompanied by vitamins D and K – is better and sufficient. How much glucosamine do you need? 500mg glucosamine a day is a preventative level – but since glucosamine is very safe, you can double the quantity in the initial stages of an arthritic flare-up. There are almost 100 forms of arthritis. Osteoarthritis is the most common, with rheumatoid arthritis, psoriatic arthritis, fibromyalgia and gout being the next most prevalent. This is an autoimmune disease, where the immune system becomes confused and identifies elements in the joints as ‘enemies’ and attacks the tissues of the joints. This initial “mistaken identity” is compounded by problems in the way that immune cells communicate with each other – a problem that is probably genetically inherited. This sets up a cycle (TNF) that is difficult to stop. There is a successful drug approach called anti-TNF alpha therapy – with anti-inflammatory brand drugs that include infliximab (Remicade), which your doctor may well recommend. What else can you do to prevent or ameliorate arthritis? Apart from a specific joint supplement which we will define in a moment, these 5 factors are all protective against arthritis and its progression. Follow a Mediterranean-style diet that is high in fruits, vegetables, oily fish, nuts, seeds and olive oil. The flavonoids and polyphenols in fruits and vegetables support the internal creation of glucosamine. And a compound called sulforaphane, found in broccoli, kale, Brussels sprouts and cabbage, can help slow cartilage damage in joints. Take a general supplement that includes Omega 3 fish oil. Enjoy low impact exercise and activity regularly – it increases mobility and improves your sense of well-being. Keep to a healthy weight – thus reducing the weight and strain on your joints. De-stress, as stress releases chemicals that affect the immune system and cause inflammation. Try this simple exercise. Make bone broth. Cartilage is composed of the protein collagen, and the most abundant amino acids in collagen fibre are glycine and proline. Glycine and proline are plentiful in animal-derived gelatine, which in turn is found in bone broth. You can make your own cartilage and collagen-building stock by simmering the bones of your choice with water, vegetables and herbs. The ideal combination would be a bone broth soup that includes sulforaphane-rich vegetables. That’s exactly the concept behind JointShield, which was originally formulated by Dr Paul Clayton, the former Chair of the Forum on Health at the Royal Society of Medicine, and has now been re-launched with lecithin and piperine added . See more detail elsewhere on this site or click on the button. Efficacy and tolerability of Boswellia serrata extract in treatment of osteoarthritis of knee–a randomized double blind placebo controlled trial. Phytomedicine. 2003 Jan;10(1):3-7. Kimmatkar N, Thawani V, Hingorani L, Khiyani R.
Boswellia serrata: an overall assessment of in vitro, preclinical, pharmacokinetic and clinical data. Clin Pharmacokinet. Abdel-Tawab M, Werz O, and Schubert-Zsilavecz M. 2011;50(6):349-369. Evidence for the efficacy of complementary and alternative medicines in the management of osteoarthritis: a systematic review. Rheumatology (Oxford) 2011;50(5):911-920. De Silva V, El-Metwally A, Ernst E, et al. Randomized, placebo-controlled, double-blind trial of Boswellia serrata in maintaining remission of Crohn’s disease: good safety profile but lack of efficacy. Inflamm.Bowel.Dis 2011;17(2):573-582. Holtmeier W, Zeuzem S, Preiss J, et al.